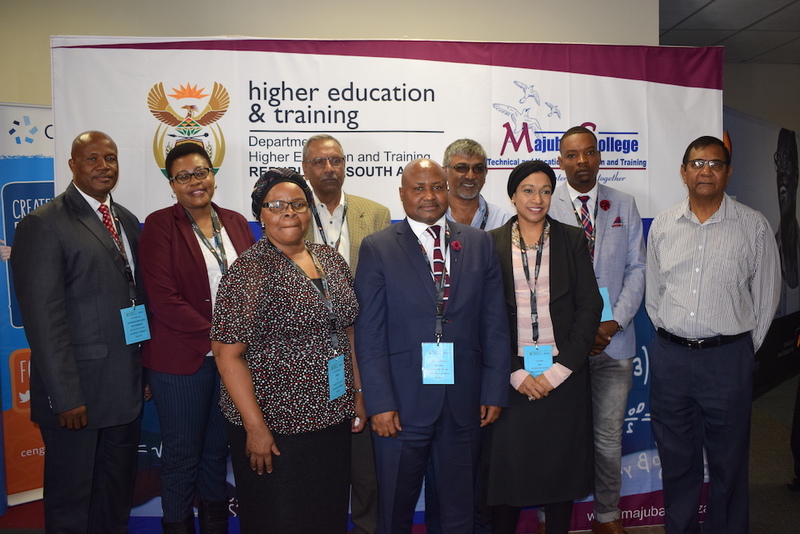 The Curriculum Department of Majuba TVET College highlighted the need to address the challenges being faced in the teaching and learning of the problematic subject, Mathematics. This need gave rise to the Majuba TVET College 2018 Mathematics Conference, which was held at the Blackrock Casino. Sticking to the theme of Deflating the doldrums of Mathematics education, the goal of the Conference was to empower mathematics lecturers to integrate methods and principles of educating the youth and adults, in order to enhance the performance of students in the sector. Approximately 160 delegates attended the Conference, which included various interested parties including members of the College Council, the Principal of Majuba TVET College, all Deputy Principals of Majuba TVET, Assistant Directors, Campus Managers, Umalusi moderators, delegates from KZN TVET Colleges, Mathematics lecturers and Heads of Departments. College lecturers engaged with one another and discussed the problem of understanding mathematics, and also shared their best advice on the subject. The Conference proved to be informative and engaging, and provided a window into innovative solutions which will enable lecturers to design effective lessons, to enrich the learning environment. The College wishes to acknowledge the sponsors of the event namely: Future Managers (who were the main sponsor), Cengage, Oxford and McMillan Publishers. Senior Management and the Organising Committee of the Mathematics Conference that was hosted at the College to find solutions to improve Mathematics results in the sector.